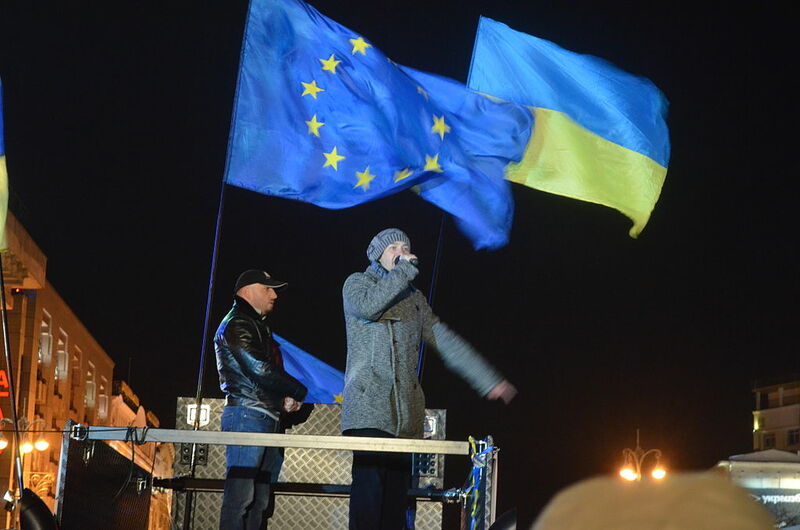 Pro-European Union Euromaidan protesters in Kiev, December 2013. In support of Ukraine, 18 European Union member states have called on the bloc to be “ready to act” in case Russia tries to undermine the country’s presidential and parliamentary elections later this year. This is according to a document seen by Radio Free Europe/Radio Liberty (RFE/RL). The document, which EU officials were not authorised to release publicly, was endorsed by representatives of Austria, Belgium, Britain, Croatia, the Czech Republic, Denmark, Estonia, Finland, Germany, Ireland, Latvia, Lithuania, Malta, Poland, Romania, Slovakia, Slovenia, and Sweden. According to the document, Brussels should also “provide additional assistance, including humanitarian assistance,” to eastern Ukraine where fighting between Ukrainian government forces and Russia-backed separatists has killed more than 10,300 people since April 2014.